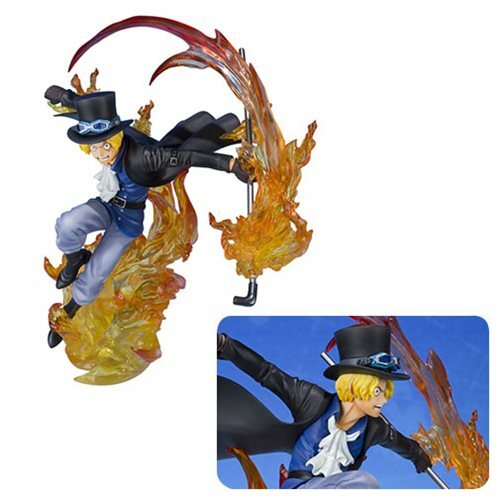 From the hit anime series One Piece comes the One Piece Sabo Fire Fist FiguartsZERO Statue. The statue features Sabo with his fist wreathed in flames! The dynamic scene is captured with a dramatic pose and effect parts, showcasing Sabo in mid-battle. Includes a stand. Measures about 7 1/2-inches tall. Ages 14 and up. Made in China.